- Age of the boat (year made). - Overall condition of the boat (any damage, leaks, paint peeling). - Condition of the Hull (was it beached on rocks)? - Condition of the Keel (screws up/down easily and not damaged). - The quality and condition of the sails. - The number of sails (Main, Geona, Working Jib, Storm Jib, Spinnaker). - The hardware condition (rigging, lines, blocks, anchor and anchor line). - The condition of the rudder and tiller. - Does it have a Chemical Toilet or a newer flush type model? - Does it include a gas motor (4 - 9 h.p.) is it 100% functional? Is it long shaft (recommended) or short shaft? - Does the motor have internal or external gas tank (s) and what size (2.5 - 5 gallons) external is better. - Does it have a 12 volt Battery? Does the motor charge the battery? Any solar panels? - Does it include a VHF Radio (with gps), AM/FM radio and a GPS locator or chartplotter? - Does it have night time lighting (bow, stern, mast, anchor, and cabin)? - Condition of the trailer and is it highway safe? (new tires, bearing, rollers, lights). Most Sandpipers sell between the range of $4,000 to $8,000 (Canadian 2007) but the high demand for them keeps the value higher as they don't take long to resell. A former CL employee has informed us that back in 1973 a new Sandpiper with a trailer was selling for $2,100.00 and later in 1993 the last remaining Sandpipers were sold with a trailer at $12,500.00 If the Sandpiper was still in production at current pricing, would place it in the $20,000.00+ range. To enlarge the photo's use your mouse and click on them. If an item has been sold do let us know. Sandpiper 565 For Sale and Wanted Items. do email us, so we can Update our Sandpiper Boat Registry. To preserve photos displayed here after a boat has been sold are moved to the Photos Section under Miscellaneous photos. These listings are provided as a free service, donations will be accepted to offset website hosting costs. How to place an ad, just send us an email with all of the details and photos. Note: Updating website Dec 19, older entries deleted. to help you locate and purchase a Sandpiper. I am looking for a used mast, and a jib sail. Email me, Thanks, Regis I want to put this Sandpiper in good condition for the next season. 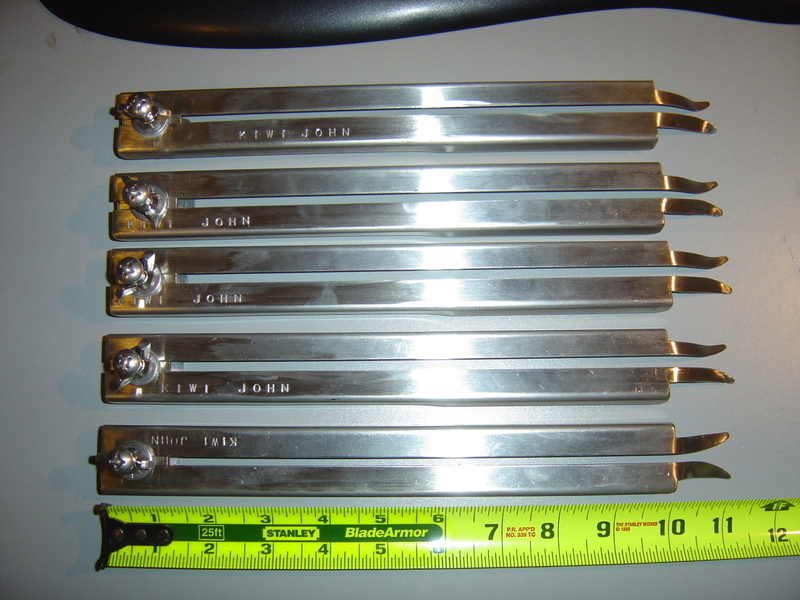 For Sale: Sandpiper Custom Made Mast Inserts. Custom made Mast inserts, for Sails with Slugs, Length can be made to order, up to 13". How to know what length? Just position the boom to where you want it and measure from the top of the gooseneck up to where the wide slot narrows in, that is your insert length. Now you can have your boom high and still get to reef down on the boom. Cost is $45 plus $10 for shipping. Email John Everingham or mail to: 1299 Napier Crescent, Oakville, Ontario L6H 2A5, Canada. phone 905-849-8663. For finding other Sandpiper sailboats for sale that are not listed here check out our Sailboat Sales section on our Links Page.